Archive from category "Air Conditioner Installtion"
Are you suffering from the telltale signs your aircon needs replacing? After a long day at work, you come home, switch on the aircon and prepare yourself for a relaxing night. But as you settle into your bed to get a good night’s sleep, you notice that something isn’t right with your aircon and while you already had it fixed a couple of times, it’s not as efficient as it used to be when you first bought it. You wonder if you need a new one. You love the cool air that comes out of your aircon, but if it’s not cool enough anymore, it could be a sign that your unit is having some issues. If you already tried cleaning it or have called an air conditioning service to have it fixed but the same issue keeps coming back, you should start thinking about buying a new Brisbane air conditioning unit instead. You might notice your utility bills are increasing even if your usage is the same. This is one of the most common signs that your aircon needs replacing because it’s not running efficiently anymore. After a few years, your unit may not perform as well, especially if you haven’t adhered to proper air conditioning service and maintenance. Buying a new air conditioning Brisbane will not only help you lower those utility bills, it will also make your house more energy efficient. While all Brisbane air conditioning units will create moisture to some extent, too much of it can be harmful for your health. The presence of leaks and moisture around your unit could be a sign of refrigerant leak, which could cause serious health risks to your family if it becomes breeding ground for mould. That’s when you need an air conditioning service to come in to ensure that your airconditioning Brisbane unit is free from mould. You will encounter some issues with your aircon at some point, and you can rely on technicians to have them fixed for you. But if you’ve been calling for them more frequently these days, you might be spending more on air conditioning service than you would if you invest in a new unit. If your aircon is over 10 years old, it’s time to think about buying a new one along with the right aircon installation. Of course, if your home has grown over the years, your aircon might not be the right fit for it anymore. During aircon installation, technicians take measurements to know exactly how much power you need. But if you’ve added some extensions to your space, you might also need to invest in a bigger, more efficient airconditioning Brisbane unit. For more information on replacing your aircon unit and finding the right people to help you with it, visit https://airconadvisory.com/. Whether you’re selling your home or not, buying a new airconditioning unit is a great best investment to increase its value. While a lot of homeowners invest in other more expensive projects, updating your in-home air conditioning units is a smart step in adding value to your property while helping you save on energy and money as you live in it. One of the first things that you should consider when buying a new airconditioning unit for your home is its size. Find an aircon unit that is enough to accommodate your home’s square footage to ensure that every part of your house is cooled properly. Buying a bigger airconditioning unit will be both a waste of money in energy and equipment costs. Settling for small home air conditioning units, on the other hand, will cause problems in keeping the right temperature in your property. Experts advise against buying window units since they are more costly to maintain and can bring down a home’s value. If you currently have window residential air conditioning units, consider replacing them with a newer air conditioning unit model. If your installation team has easy access to your pipes and your house already has air ducts, a central air con unit costs much less to install. If you’re having a hard time deciding which airconditioning unit will fit your property perfectly, talk to the experts to get some advice on choice and installation. New homeowners are on the lookout for energy efficient homes to help them save money and do something for the environment while they’re at it. One of the best ways to make your property greener is through buying an air conditioning unit that’s energy efficient. This will help you attract more potential buyers and put your property at the forefront of the market. After you’ve decided on the right airconditioning unit to buy for your property, you should also consider the importance of proper installation. These home air conditioning units require careful installation for them to work properly and efficiently for many years. To ensure that you achieve this, it’s better to have the experts install your new airconditioning unit to avoid costly mistakes that could decrease the value of your property. Once everything is installed, you can enjoy a cooler home with your quality aircon unit while knowing that you may get good returns once you put it on sale. 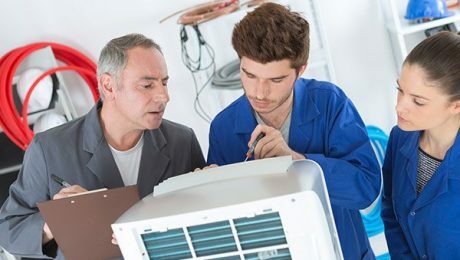 For more information on the right people to call whenever you need help in installing your new airconditioning unit, visit https://airconadvisory.com/7-benefits-of-installing-an-ac-unit-in-your-property/. Are you ready to purchase a new air conditioner? Then you will need the services of Brisbane air conditioning & installation experts. With so many vendors out there how do you choose one? How do you know the one you picked will handle the job well? Here’s how to find the right air conditioning Brisbane expert. They are fully licensed and certified with the Australian Refrigeration Council. It is within your right to ask about their certification. Professional companies will display their certification for all to see. They have insurance cover in place to facilitate compensation in the event something goes wrong – it mostly doesn’t but peace of mind is important. They exude a high level of professionalism and a good understanding of your needs. If they do not offer satisfactory answers to your questions, they may not be the best choice. You will want to consider what type of installation you need and system you are looking for. Your air conditioning Brisbane expert will discuss your needs with you beforehand. They will most likely visit your home or premises to better understand your situation. 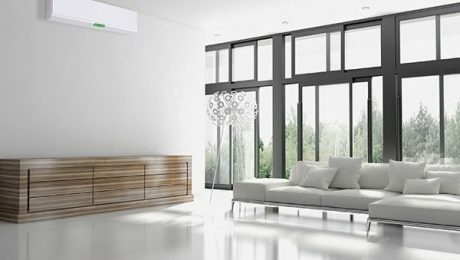 There are several factors that will determine the type of AC you choose for your home or office, and your Brisbane air conditioning & installation experts will take these into account. Some of these factors include local council regulations and guidelines, the type of home (is it an apartment, single storey or multiple storey?) and proximity to your neighbours. Commercial air conditioning needs vary depending on the business. A restaurant may not have the same needs as an office, showroom or shop. Your air con professional will survey the premises and take note of your needs to ensure they provide a suitable solution. Ducted Systems. Excellent choices for large or multiple storey homes where ducts run through the entire ceiling of the home (sometimes underneath floors). The best feature about ducted systems is that you can control the temperature of every room, and even shut off cooling or warming in spaces that are not being used. Split system. Works best in smaller spaces and is easier to install. This system comprises an indoor and outdoor unit. The indoor unit is mounted on a wall inside the house while the outdoor unit is installed outside. You can choose to have a single split system or a multi-split system with the latter serving more than one room. As an expert Brisbane air conditioning & installation business, the Air Conditioning Advisory Centre offers you unmatched expertise in air con installation, repairs, replacement, servicing and maintenance. Contact us today – the Brisbane air conditioning & installation experts. When the Australian summer gets too hot or you can’t stand feeling chilly in winter, you might want to consider speaking to air conditioning installation Brisbane experts. The Air Conditioning Advisory Centre is ready to help you choose and install the best air conditioner for your needs. Installing air conditioning in your home or office ensures you’ll be perfectly comfortable in any season. Read on to find out how to select an AC system that performs the best, with the least impact on energy bills. There are several factors you have to think about when considering air conditioning installation Brisbane. What’s your room size? To find the best AC unit that will supply sufficient coolness for space, you need to know the size of the room. If you buy an AC with a lower capacity, it won’t have enough power to cool the room or office. If you install an AC with a larger capacity than needed, you are wasting money and energy. You’ll also definitely be getting higher utility bills. What power level do you need? Air conditioning capacity is measured in British Thermal Units (BTUs) and output power is measured in kW. Generally, an AC system needs at least 80 watts of power per square metre of the area it is cooling. Reverse cycle AC units have two kW values: one relating to the cooling capacity and the other for heating. Does your home carry enough electrical power? 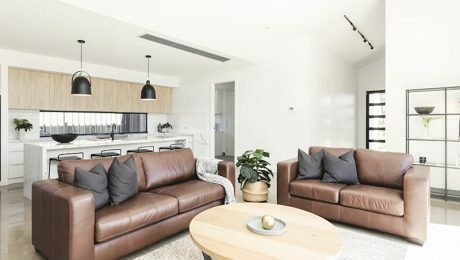 Another thing you have to think about before you get air conditioning installation Brisbane is whether your home’s electrical capacity is sufficient to carry the load of an AC. Air conditioning systems use more energy than other appliances. If you live in an old house, or you’re not sure if your home’s wiring is in excellent condition, it’s best to consult with a professional who can advise on your requirements. What’s the AC energy efficiency rating? Energy efficiency is the byword sales agent use when selling appliances. It sounds sale-sy but there’s a very good reason why you should buy an energy efficient appliance. It’s because they use around 10% less electricity than regular appliances. Cooling units consume more energy than any other appliances, so if you can get one that uses 10% less energy, it saves you money and energy in the long run, leaving a smaller environmental footprint. How do I maintain it? Like other appliances, you need to maintain your air conditioning system for it to function efficiently and last longer. AC’s are prone to accumulating dust, and if left uncleaned, will reduce its function. Choose an AC unit that’s easy for you to clean and maintain so you can keep it in top working order. It’s always a good idea to speak to the right experts. 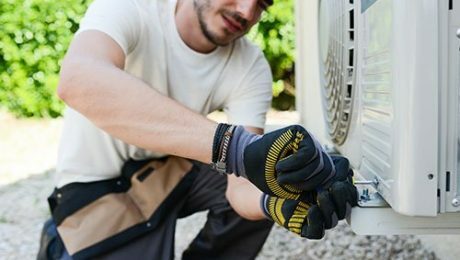 When it comes to air conditioning installation Brisbane residents and businesses trust, look no further than the Air Conditioning Advisory Centre. An AC unit can be quite expensive, so you want to make sure you got the right one. Even when you’ve got the right system, if it’s not properly installed, you could have a lot of problems with your AC. Seek professional advice when it comes to air conditioning installation Brisbane. Contact the specialists at the Air Conditioning Advisory Centre today.